The present chapter starts with a description of my early identification with psychology and how it led me to good educational training at different universities. It follows with a brief overview of my teaching activities as well as a discussion of the major basic and applied findings from my research in behavioral neuroscience and cognitive neuropsychology. 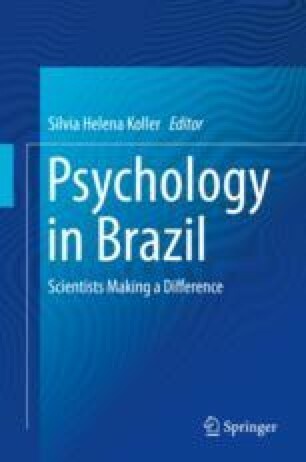 The chapter also presents some leadership actions that contributed to developing the field of psychology in Brazil. Finally, it underlines how international interactions represented a significant element of my personal and academic achievement. All of these activities were driven by external and especially internal motivations, the mainstay for becoming a Brazilian Full Professor in psychology. The chapter concludes by recognizing the importance of my students in my career. I would like to thank all of my colleagues who helped me with various university and scientific society activities. I am in debt to Silvia Maisonnette and Flavia Rosseti for being at the forefront of laboratory activities and significantly contributing to training our students. I am grateful to Vera Lucia Lima for her continual guidance in the most diverse functions of the department. In fact, one of the strongest aspects of PUC-Rio is the quality of work of its technical and administrative staff. I also take this opportunity to express my personal gratitude to Michael Arends for his diligent help in proofreading the English of all of my written works, a task he has performed consistently and reliably since 2010. Finally, I would like to acknowledge the Brazilian research foundations, such as CNPq, FAPERJ, and FINEP, for their invaluable financial support.